This Friday evening, under the full moon…. Join us under the full moon along the Majestic Columbia River this Friday evening at 5:30 pm. 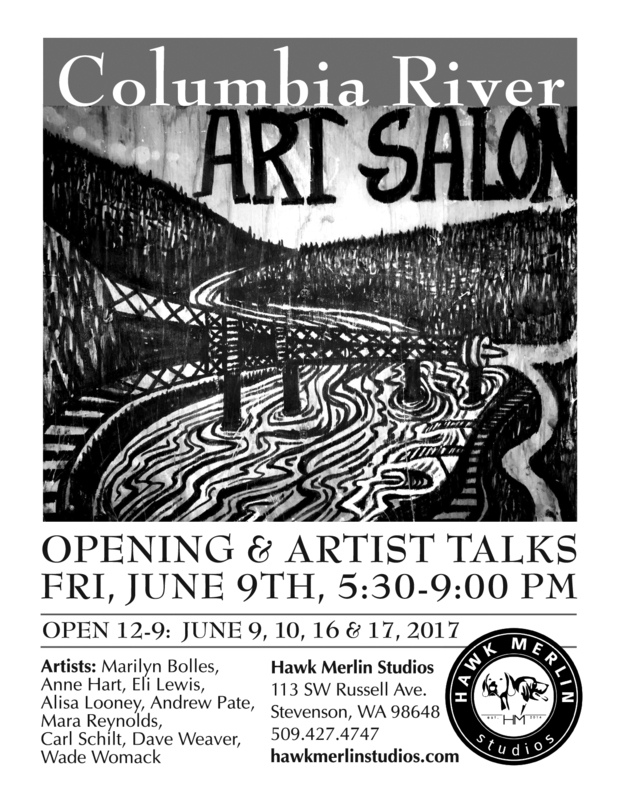 Wade and I are both excited to exhibit our work and speak with a talented group of Regional artists in the 2nd Annual Columbia River Art Salon. Many thanks to Anne Hart for organizing and inviting us! Alisa Looney will be talking about her enamel works from the Folding Into Nature series, which bring attention to clean flowing rivers. A portion of the proceeds from sales of this work will go to Columbia River Keeper and the great work they do to protect the Majestic Columbia and its tributaries. Wade will talk about his process describing how he carves and prints several layers from the same block, creating small limited editions. Learn about his techniques and the ideas behind his work. 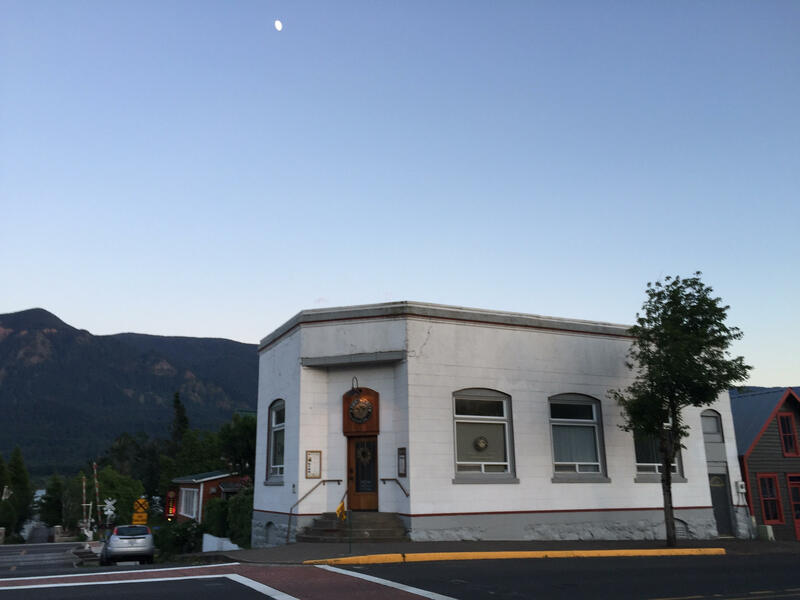 Anne will talk about how she creates her work from start to finish, from building her ideas in oil clay to molding and casting each piece in bronze. Hear about what inspires her to create work in metal. Photo above: Mara Reynolds: painting and Photography, and Dave Weaver: The Love Brigades, Alisa Looney: Sculpture.